If you, like us, have a soft spot for the library cards of yesteryear, you'll love staying organized with our Library Card Miniature Note Pad. 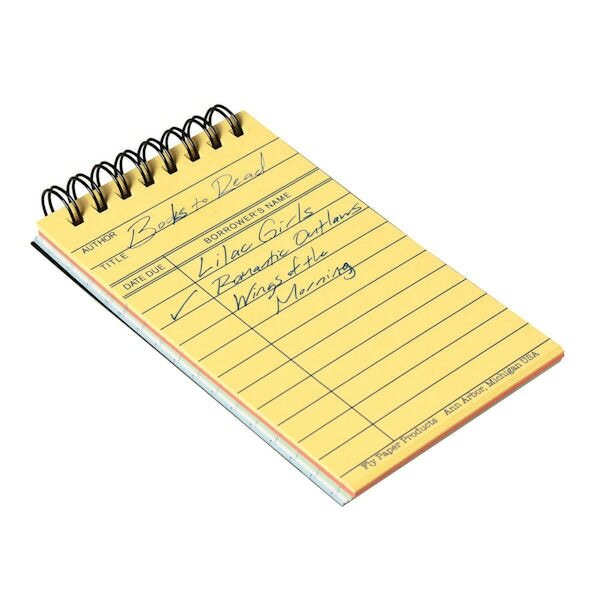 The 3"x5" spiral-bound pad includes thirty sheets designed to look like check-out cards, in classic yellow as well as orange, blue, white, and green. Perfectly pocket-sized for jotting down to-do lists, reading suggestions, or any other useful tidbits!